… remember, remember, the fifth of November: Guy Fawkes Day ! But there is another side to the story. The movie “V for Vendetta” tells us differently. 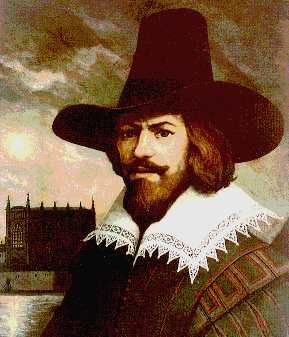 Guy Fawkes (13 April 1570 – 31 January 1606) was a member of a group of English Roman Catholics who attempted to carry out the Gunpowder Plot, an attempt to blow up the Houses of Parliament and kill King James I of England, to destroy Protestant rule by killing the Protestant aristocracy, on 5 November 1605. Mask of Guy Fawkes used for “V for Vendetta” film. Fawkes is celebrated in popular culture, literature, song (John Lennon’s “remember, remember, the 5th of November…”), poetry, and in film and television. Just to be clear: many English people celebrate the day in opposition to Guy Fawkes, but the movie and more recent lore has reversed that perception of Fawkes as “the bad guy” in all of this. The movie points out that Fawkes was not trying to blow up Parliament, but the House of Lords – the seat of autocratic rule in England at the time. Learn the real story of Guy Fawkes and celebrate the 5th of November for the right reason! So, when they hung him did they say, now you’re Fawked?!?! And T. S. Eliot begins the Wasteland with the enigmatic “Mistah Kurtz-he dead. A penny for the Old Guy” Makes you think…. The guy must have been out of his Fawking mind to think he would get away with it. Fawking splendid,,we need more men with such courage!!! it looks like the wiki says Fawkes jumped from the scaffold where he was to be hanged and broke his neck, thus avoiding the agony of the drawing and quartering that would have followed. I was visiting a friend outside of London, in Croydon on Guy Fawkes Day. Unbeknownst to me, I thought bombs were exploding all over the place and practically ran screaming into her room yelling, What the hell is going on out there?? She was deaf, and had felt the rumblings and then told me what the fireworks were all about. I had never heard of him, and was given a quick, and loud lesson!